Are you Vegan? Maybe you’re just trying to integrate #meatlessmonday into your routine? We know how hard it can be to get fun, great tasting Vegan food at a non-Vegan restaurant. Lucky for you, at Garage Kitchen + Bar we have some amazing new plant-based menu items that even the biggest meat-lover can enjoy! 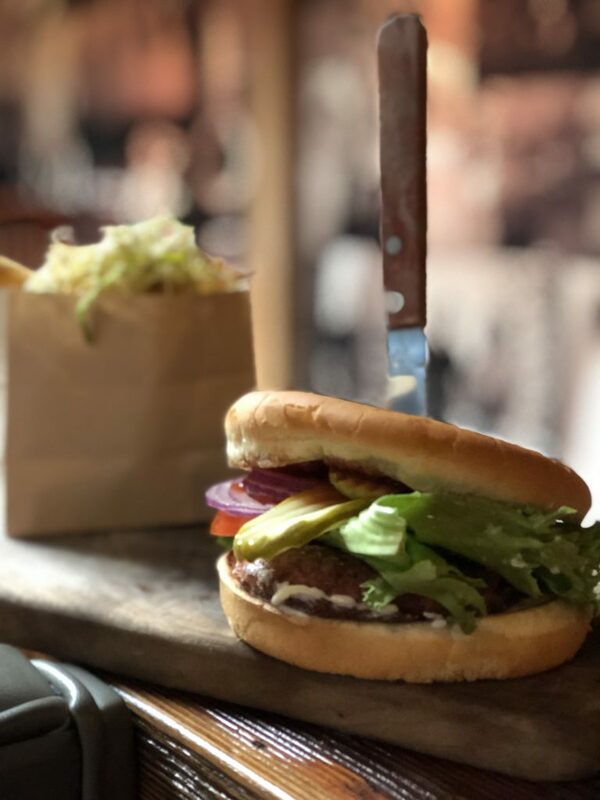 We use the ultimate “Beyond” meatless patty, grilled to perfection just like a good old American burger, with the perfect balance of veganaise and Harissa ketchup as well as the classics: lettuce, tomato, pickles, and onion. This juicy ” Vegan Burger” is served on a potato bun with thick cut fries! A great classic meal everyone knows and loves, but with an amazing “meatless” vegan-friendly filling instead! And now there’s even more Vegan love to go around! 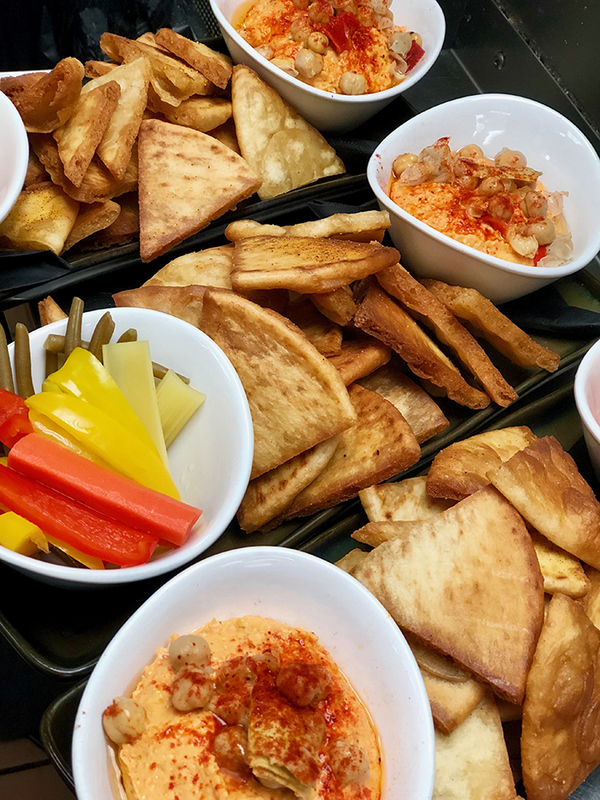 Our Mediterranean Hummus platter is a light appetizer perfect for splitting before your entrée! 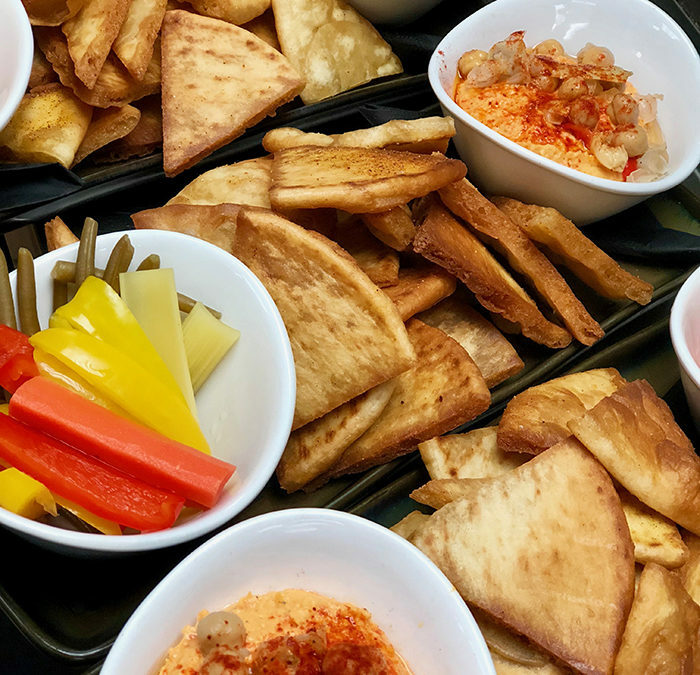 A great starter with crispy pita chips, pickled and fresh seasonal vegetables…and the star of the show: our made-from-scratch roasted red pepper hummus! This fresh, unique “Meditteranean Hummus” plate offers a variety of colors, flavors, and texture! It has a little spice, tanginess, and enough pita chips to go around! *You can get this appetizer 51% off during Happy Hour every day from 4-7pm! A plant-based version of one of your favorite take-out dishes. This plate will entice your palate in a whole new way and is guaranteed to satisfy those sweet and sour cravings! Our savory cauliflower is tossed over sesame brown rice and a seasonal vegetable stir-fry. The dish is topped with fresh avocado and crispy sesame seeds. 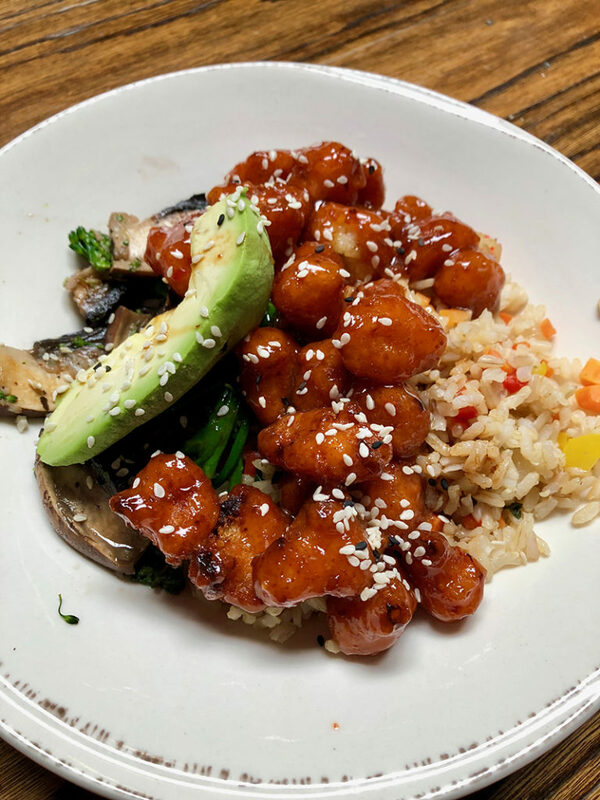 Our vegan “Sweet and Sour Tempura Cauliflower is something you can indulge in guilt-free! Try all of these dishes during DINNER 3pm-close every night! Our Vegan Burger is also available during BLUNCH Mon-Friday 11am-3pm!